Not gonna lie guys, it's been ages since the last time I went to the gym. It's just the reality of living in the crazy busy city & working all day every day. Of course, there's always time for everything, it's probably just me being lazy & looking for excuses! However, I've proved myself one more time that new gym clothes MOTIVATE, don't you agree? Maybe it's just me? In any way, since I was sent this stunning set from Peony & Me I can truly say, it made me sign for a monthly gym membership. I went for a printed leggings, white sports bra and this unique bomber jacket that makes my gymwear look so exclusive. You can shop this entire look by clicking here. 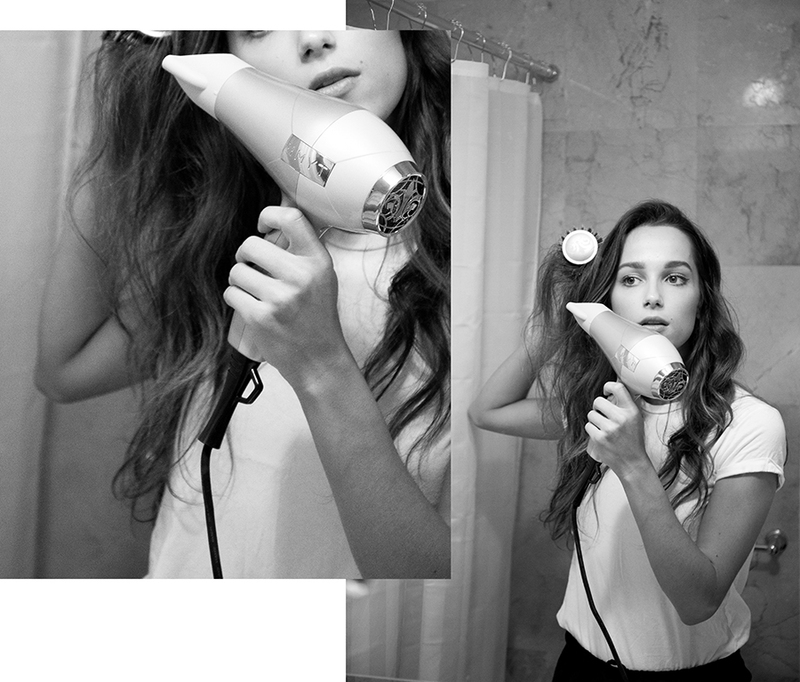 Also, I really wanted to incorporate my new favorite hairdryer from TYME. I was always struggling to blow dry my hair myself, however, this was a game changer! I also love how classic the design is, it really goes so well with our bathroom tiles haha. You can find & shop it here.